Kentucky officially the Commonwealth of Kentucky, is a state located in the Upper South of the United States. Kentucky is one of four U.S. states constituted as a commonwealth (the others being Virginia, Pennsylvania, and Massachusetts). Originally a part of Virginia, in 1792 Kentucky became the 15th state to join the Union. 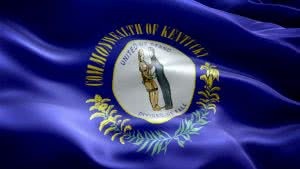 Kentucky is the 37th most extensive and the 26th most populous of the 50 United States. Kentucky requires corporations to have names that can’t be confused with any other name on record with the Secretary of State. Company Express will research your company name to make sure it meets Kentucky’s standards. Please note, that we, at Company Express, will handle all required incorporation filing for you. The following information is presented for your information only. Required documents: Articles of Incorporation filed with the Secretary of State. Location to file: Businesses must file their corporate documents in the same county where their registered agent is located. Turnaround time: About 5 -7 business days. Minimum number: Minimum one director is required. Appearance in articles: Not required. Kentucky requires a corporation’s principal office to be located inside the state and local registered agent is also required. Time to file: Annual reports must be filed before June 30. Signatures: Only company officers or directors are authorized to sign annual reports. Emailed or faxed signatures are accepted. Kentucky requires Limited Liability Companies to have names that can’t be confused with any other name on record with the Secretary of State. Company Express will research your company name to make sure it meets Kentucky’s standards. Required documents: Articles of Organization. Turnaround time: About 5-7 business days. Minimum number: LLCs are required to have at least one manager/member. LLC’s principal office may be located outside of the state. Local registered agent is required. Time to file: LLCs must file their annual report with the Kentucky Secretary of State between January 1 and June 30. Turnaround time: About 2 -4 business days.